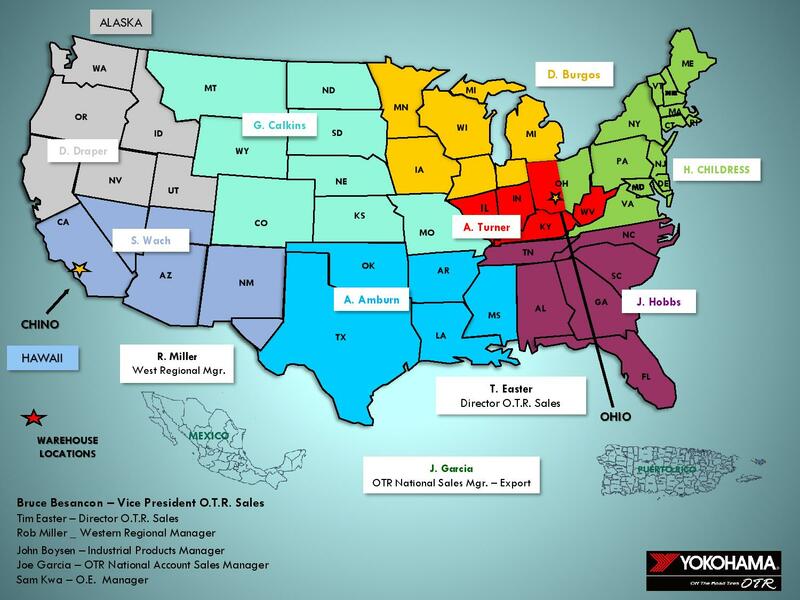 The Yokohama OTR sales staff work as on-site partners with our customers. These professionals have a high degree of technical knowledge and decades of experience among them. The map below shows the areas covered by Yokohama's OTR sales staff.